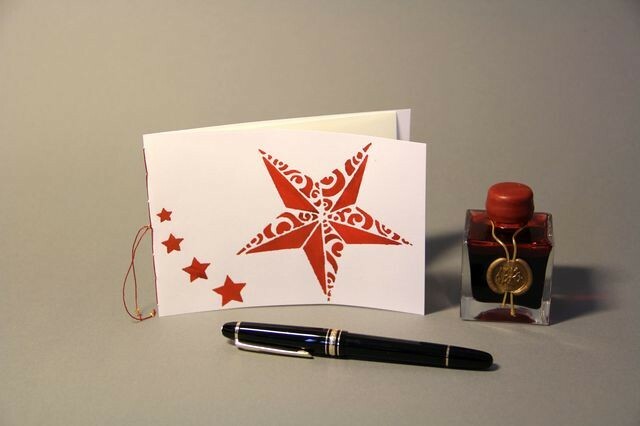 Christmas cards, greeting cards - its hard to find cards that are really fountainpen friendly. 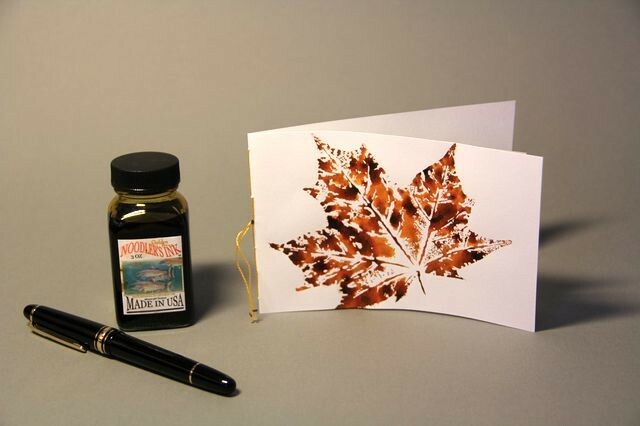 Our cards are the perfect solution to that issue! Handcut, handsewn and decorated by hand in fountainpen ink these cards are ideal for fountainpen friends. 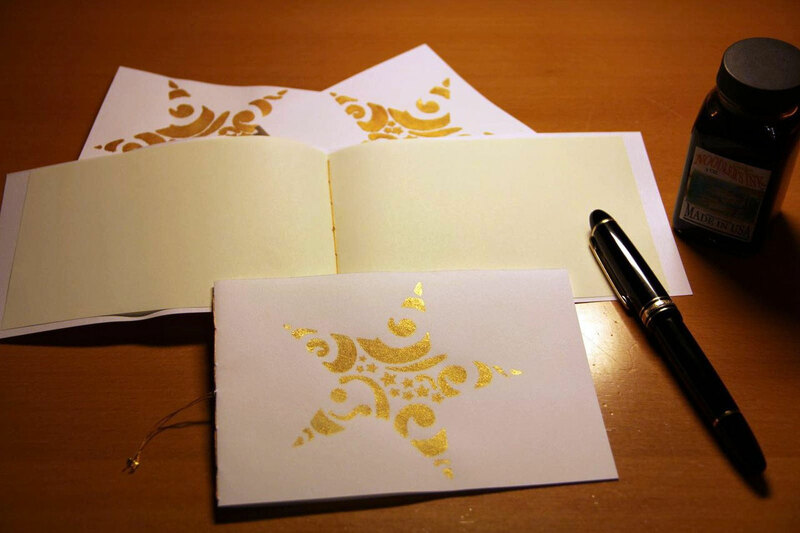 The cards consist of an outer layer of "FABRIANO" paper (one of the worlds oldest paper mills, in existence since A.D. 1264) of 120-160 g/m², the inner layer is made of the legendary "TOMOE RIVER" paper with 52 g/m² of the japanese papermill TOMOEGAWA, both layers are sewn together by hand with matching silk. All cards are made to order, the motives can be done with any ink combination from the picture of the left side. 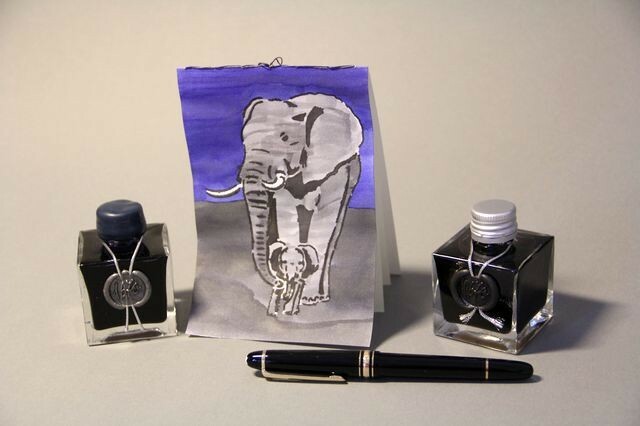 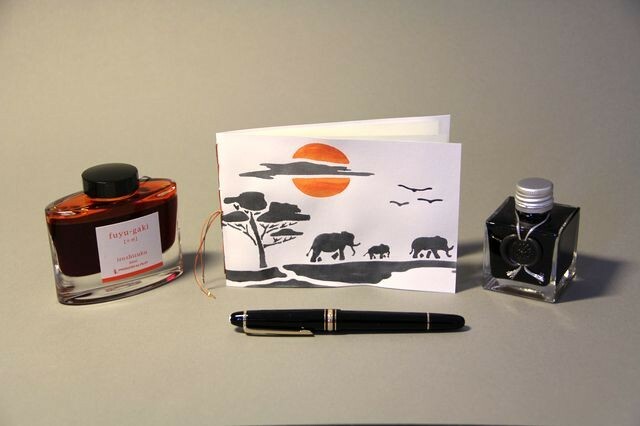 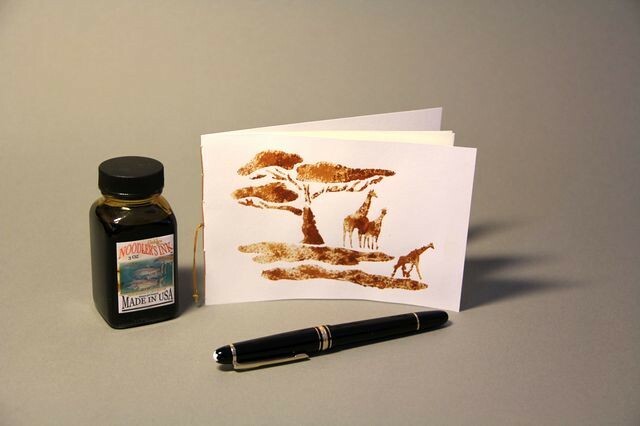 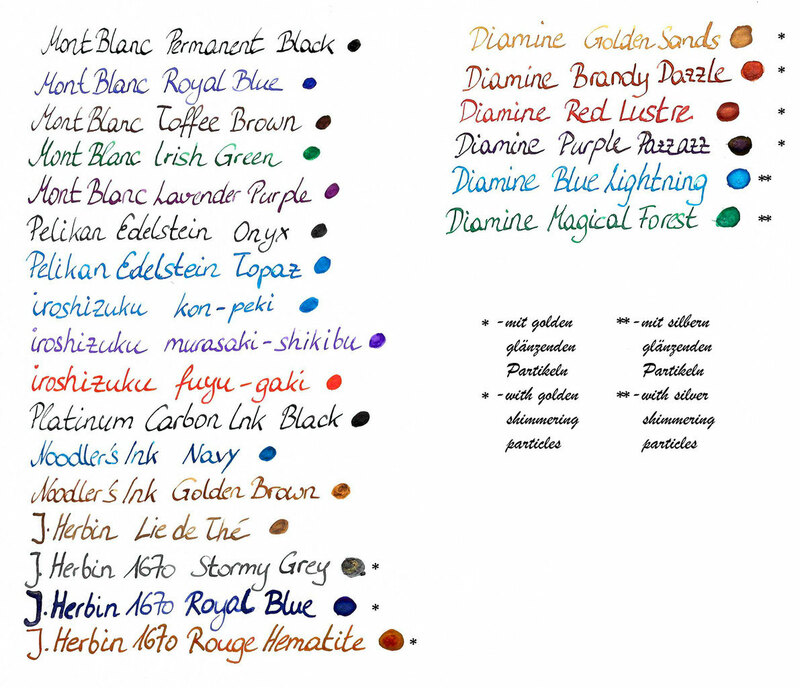 Inks are available from Montblanc, Diamine, J. Herbin, Pelikan and Noodlers. 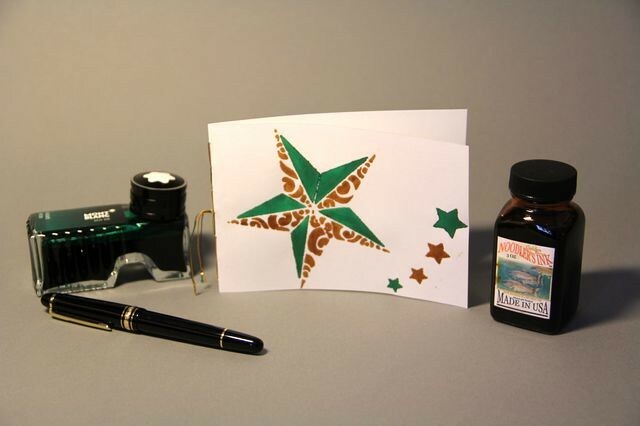 Tthe inks with the asterisks (*, **) are shimmering inks with gold or silver particles within the ink suspension, they have a metallic shimmering sheen. 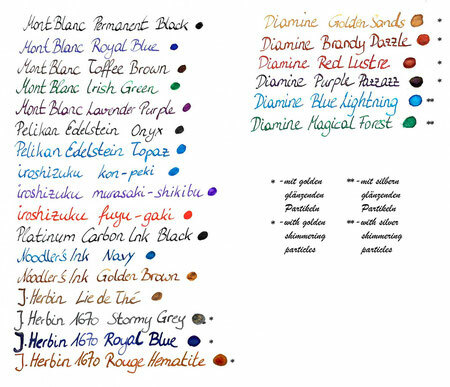 Some motives can be done in two or three different inks, see the pictures and motives for examples. 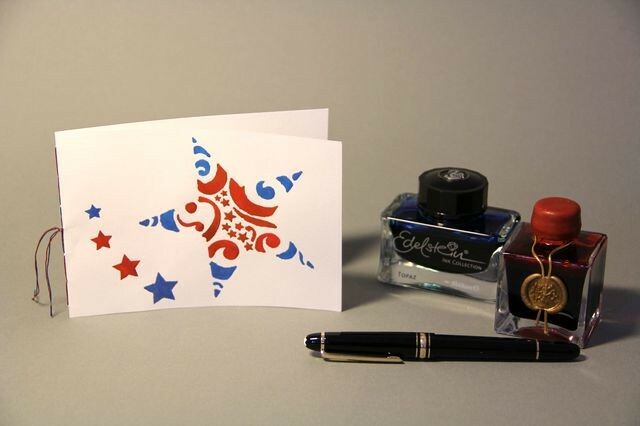 If you order cards, you can choose any ink combination from the left ast to your taste. If you are interested, please contact for details.